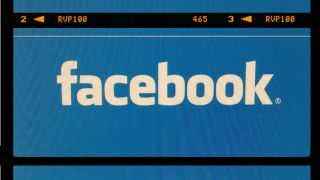 Facebook to launch search engine today? Facebook is busy "building" something that will be revealed at an event later today, and the latest reports suggest that it could be a search engine. "What, no Facebook phone?" we hear you cry. Given the dearth of leaks, we'd say new hardware is unlikely to be unveiled today - not to mention the fact that Mark Zuckerberg publicly stated that knocking out a handset would be the "wrong strategy" for the company. But something big is coming, and Pocket-Lint is reporting that "inside sources" have told it that Facebook's plan is to launch a Google-baiting search engine. The sources added that the new search feature is expected to roll out shortly after today's event. Whatever the announcement is, the mere fact that it's happening caused Facebook shares to jump as financiers get excited about all the potential money-reaping tweaks that the social network has in mind for its 800 million plus active users. We'll be covering the Facebook event as it happens, so check back at 10am PT, 6pm GMT for the news as it breaks.